In August 2005 the Safe, Accountable, Flexible, Efficient Transportation Equity Act: A Legacy for Users (SAFETEA-LU) was signed into law. With the creation of SAFETEA-LU also came the creation of a new Tribal Transit Program. Under this new program Federally Recognized Tribes are eligible direct recipients of grant funding under section 5311(c). 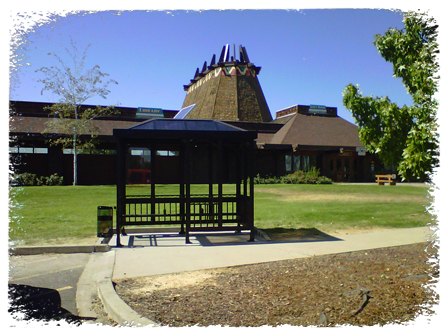 The Yakama Nation Tribal Transit (YNTT) system was created in 2007 under the Economic Development program. Through a partnership that was established with a non-profit organization, People for People (PFP), the YNTT and PFP were able to quickly set up a strategy to identify the transportation needs on the Yakama Reservation due largely in-part to the outreach experience by the PFP staff. planning meetings with various stakeholders we were able to identify the unmet transportation needs in our area. Various communities within and near the reservation invested a lot of support to assist the Yakama Nation with establishing the new transit system. Along with the community support, the various social service agencies also invested a great deal of support and continue to provide insight and direction on behalf of their respected agencies. Also, through community outreach throughout the reservation by the YNTT staff by going door-to-door and speaking with and also administering surveys to areas without transportation and areas with transportation to determine the quality of service and if transportations needs were being met. 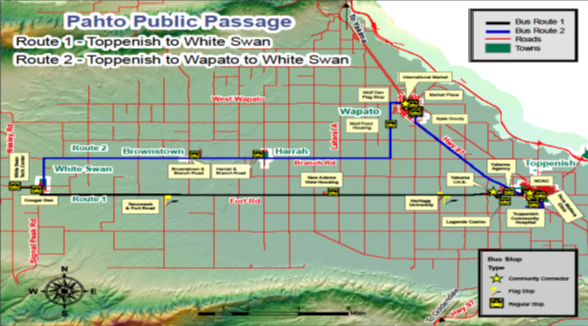 The YNTT started Fixed-route services on September 4, 2007 between the town of White Swan and the City of Toppenish. Throughout the first year there was great demand for the transit service to expand into other areas of the reservation and YNTT staff began surveying the public in the areas not receiving transportation services. 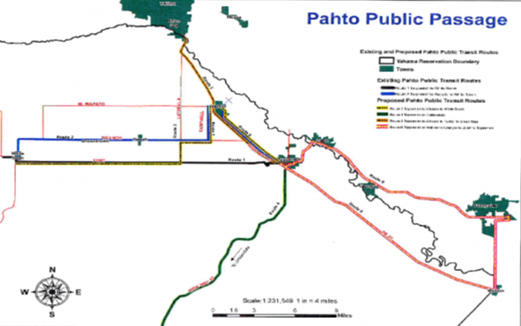 Due to public demand the Fixed-route service expanded at the beginning of its second year to include the cities of Wapato, Harrah, and the town of Brownstown. With the two routes now established the YNTT staff began surveying the communities, passengers and monitoring the passenger trends for both routes to see how efficiency could improve with the next year of service. With the information provided by the public and monitoring ridership trends the schedule was adjusted to fit the needs of the public and to increase efficiency and consistency with the bus and bus operators. Both routes were changed so they would start and stop in the same location, be clearly marked for recognition and consistency and also would start earlier in the day as well as end later in the day. With the economy still recovering some families have not. The demand from the public to travel to the neighboring cities of Yakima and Union Gap to access grocery stores, shopping centers, medical facilities and various other businesses located in this area continued to grow. Current transportation is being provided by PFP’s fixed-route called the Community Connector from Prosser to Yakima via Interstate 82 but it does not currently pass through the city of Union Gap where demand was greatest. After reviewing the schedules for the Community Connector, the Union Gap Transit and Yakima Transit a schedule was drafted that did not duplicate service currently provided by PFP, Union Gap or Yakima. Also, requests from the public to members of the Tribal Council to research and see if the demand for transportation in the Goldendale area is feasible and if so how do we incorporate this area into the current transit system.